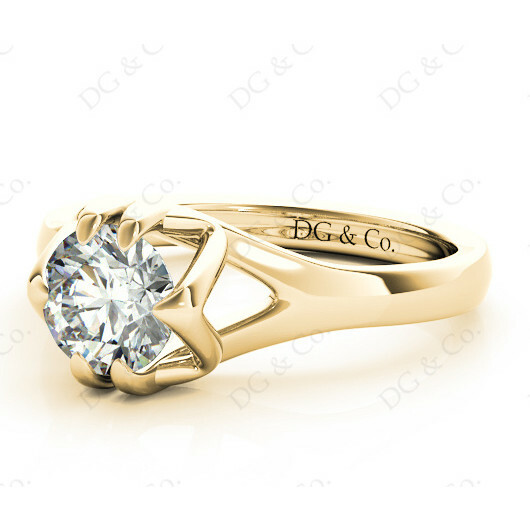 Brilliant Diamond Solitaire Engagement Ring in Split Interwoven Six Prongs Setting. 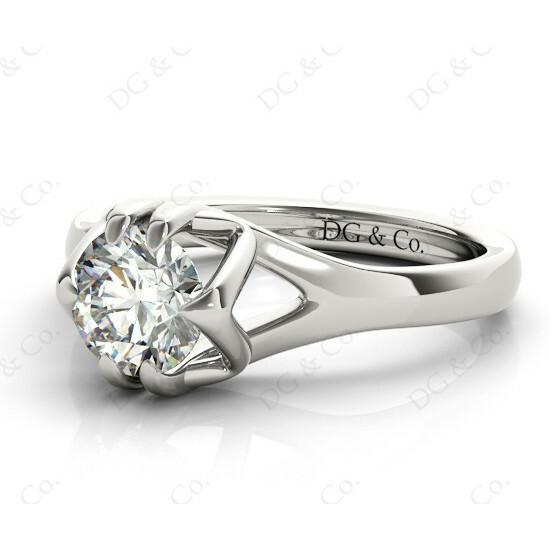 Solitaire Engagement Ring with a Brilliant Cut Diamond in a Split Interwoven Six prongs Setting with High Polish Square Band. 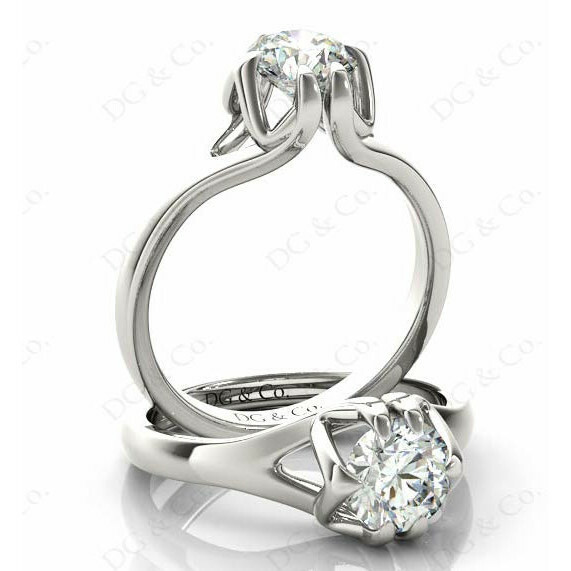 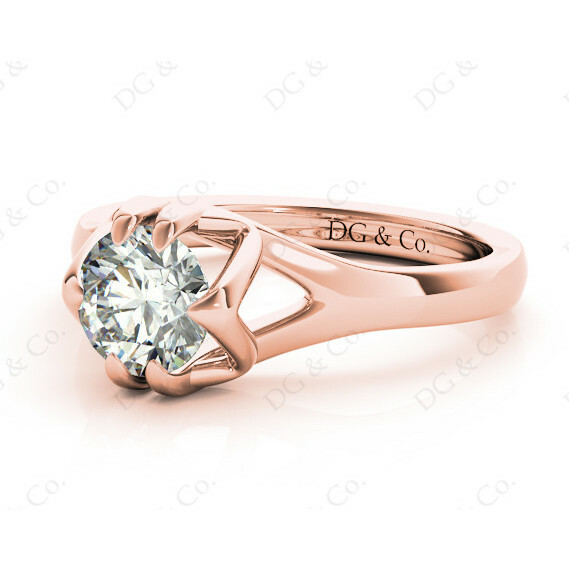 You're reviewing: Brilliant Diamond Solitaire Engagement Ring in Split Interwoven Six Prongs Setting.